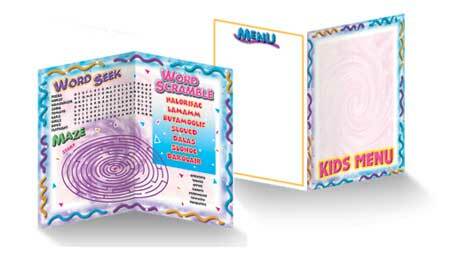 Keep the kids busy with the activity games and puzzles featured on our kids menus and kid's placemat menus. 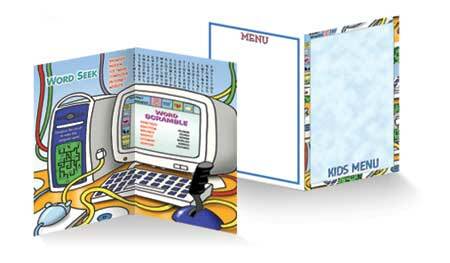 It is easy to print your logo and kid's menu items yourself on any copier - or we can print for you. See details below. 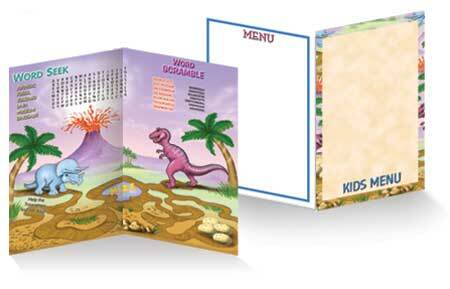 Kids Menus & Kid Placemats with word games, puzzles and maze entertainment will keep the kids busy. 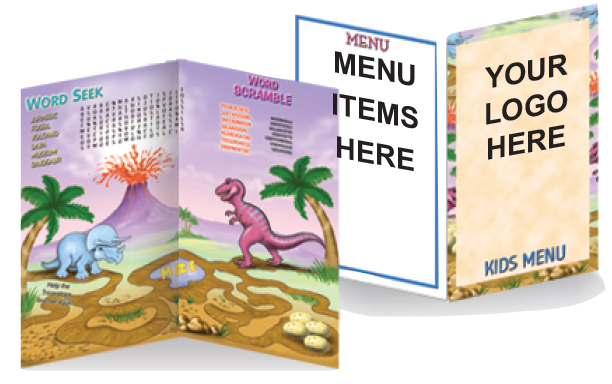 Print your children’s menu menu items on our pre-printed kids menu sheets using your photocopier, laser printer or at your local copy shop. Or we can type, layout, proof and print for you. Call us for a position template, or we can print your menu items for a charge of $35 on 1200 and 3000 quantities or $75 for 6000. See details below for sending your text and logo. A proof will be mailed to in 24hrs for your approval.